DJI’s All New Heavy Lift Drone - Matrice 600 Unveiled! Today DJI has unveiled its most powerful heavy weight lifting drone, the DJI Matrice 600 or M600 for short. This is definitely great news for aerial photographers looking to capture spectacular aerial shots as well as industry specific applications that require a robust drone. It is a dream come true for cinematographers as the drone can carry some of the largest cameras on the market. The DJI Matrice 600 serves mainly commercial purposes and is capable of executing high-risk jobs as well. This hexacopter's capability is beyond imagination with a price tag that isn't the most wallet friendly unless you are using it professionally on a commercial basis. The M600 is easily controllable and can be flown both indoors as well as outdoors. As an unmanned flying robot, its built-in design fully integrates a laundry list of powerful DJI technologies and is worth every cent when used to its maximum potential. As one of DJI's Premiere Authorized US Dealers, Advexure will receive the first shipments of the all new DJI Matrice M600 Hexacopter. We expect first shipments to arrive to our warehouses within the next couple of weeks. We look forward to serving you as the largest DJI dealer in Los Angeles. There are two options when ordering the Matrice 600, you can either purchase just the M600 unit or we offer an M600 and Ronin-MX Combo which offers some savings when you purchase them together. Please follow the links below. CLICK HERE to order your DJI Matrice 600 Hexacopter today! CLICK HERE to order your DJI Matrice 600 and DJI Ronin-MX Combo today! DJI’s M600 integrates DJI’s powerful technology, the accurate A3 series of flight controllers which can serve cinematic and industrial applications seamlessly. It can adjust the flight system based on what it carries and what type of conditions it is operating in. Crystal clear videos and images can be shot with extreme precision down to a centimeter using its powerful GNSS GPS units which is an extremely powerful upgrade. The drone has other built-in DJI technologies like the new uninterrupted video transmission system - the Lightbridge 2, six Smart flight batteries (TB47S) and the power yielding electronic Battery Management System (BMS), for superior performance and fast setup. DJI’s intelligent batteries offer redundancies, even if one fails along with the power to complete the task at hand. With the TB47S intelligent flight batteries, the M600 can be in the air as long as 45 minutes with no extra payload, which reduces to half this time with a payload of 6kg. With DJI’s TB48S intelligent batteries, the flight time of DJI M600 is about 50 minutes with no extra payload, and is reduced to 25 minutes with a payload of 5.5kg. These battery estimates are fully subject to your flight environment and conditions. DJI’s M600 Hexacopter is capable of handling heavy payloads up to 6 kilograms or 13-pounds, which is an impressive feat, making it ideal to lift high-tech, industry leading cameras such as the RED Epic and other RED cameras. Professionals will find a bundle of discounts for the M600 drone and gimbal if they are willing to combine these capabilities to take better shots. DJI’s M600 drone is capable of carrying the first ever universal aerial gimbal, DJI’s Ronin MX, which allows professionals to easily attach other compatible high-end cameras from Arri, Black Magic, RED, Canon, Panasonic, Sony, and Nikon. DJI’s M600 carrying the DJI Ronin MX allows 360 degree camera rotation and will continue to spin and not lock-in after a full rotation. This gimbal can carry cameras up to 10 pounds and has a tilt axis that ranges from 90 degrees down to 135 degrees. DJI’s high-tech Zenmuse camera line is also fully compatible with the all new M600 drone and with Zenmuse cameras the unit boats flight times of 36 minutes, as it has a lower payload. Setup for the DJI Matrice 600 drone is fairly easy and comprises of the center frame, 6 frame arms, 2 landing gear legs and skid, Retractable Modules, and the Remote Controller. An improved modular integrated design requires minimal setup, allows portability, little maintenance and is easily ready to fly in minutes. This is our favorite aspect of the Matrice 600. Previously when using DJI's heavy lift flying platforms such as the Spreading Wings S1000 and S900 we had very long setup times but with the M600 we can be up in the air within just a few minutes of arriving to our set location. The M600 DJI drone’s flight coverage distance varies and mostly depends on its payload and your flight environment. It is capable of carrying accessories and heavy cameras and can still reach its maximum altitude as it would when flying without a load, however, with a heavy load onboard, flight time is reduced as mentioned previously. DJI's all new release of the DJI Matrice 600 Hexacopter leverages all of the best technology DJI has to offer to make the world's most friendly and capable professional drone for photographers and cinematographers wanting to put their cameras in the air. M600’s capability of extended flying time, built-in and add-on features allow for extreme reliability. DJI’s M600’s autopilot feature is ideal for hovering and capturing footage with the required stability. The capability of M600 is worth exploration. It can be of a great help to professional filmmakers, videographers and can perform a wide array of applications in the industrial sector. DJI Matrice 600 is capable of streaming at 1080p HD (High Definition) video at 60FPS (frames per second) from a distance of three miles with the Lightbridge 2 video transmission unit that comes installed and setup on the M600. The M600 supports video output using mini-HDMI and is one of the first ready to fly drones that features an SDI port to connect to video village when on set. DJI’s GO App is supported by the M600 drone which helps fetch the statuses of HD streaming, battery and redundancy, as well as the transmission strength. Moreover, it functions as the camera’s control center to the shutter speed, ISO, and capturing photographs and videos on DJI Zenmuse series cameras. All of the Zenmuse cameras are fully compatible including the X3, X5, Z3, and Zenmuse XT Thermal Camera from FLIR. 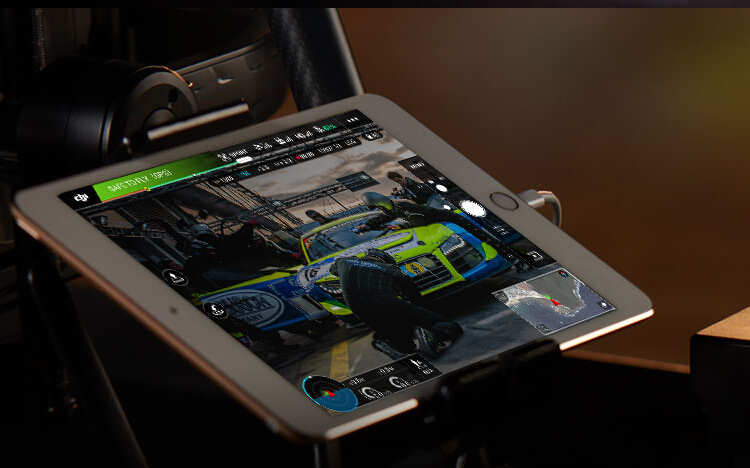 Along with the M600, DJI has released the all new DJI Assistant 2 Software which complements the M600 drone offering firmware support along with a built-in M600 flight simulator. DJI’s Matrice 600 (M600) is priced at $4,599 as it hauls a huge list of cutting-edge capabilities. However, for the kind of price tag the drone is being sold at, it can prove to be worthwhile investment only when used to its fullest potential. The DJI Matrice 600 has the capability to get a range of shots from various angles and can offer multiple viewpoints from the air. This is a definite game changer and revolutionizes aerial filming, cinematography, videography and also looks to be a popular unit for capturing and steaming live news events with its reliability through redundancy and long flight times.